SYNERGISTIC MIND TO MUSCLE CONNECTION – Genius Pre is the world’s first clinically dosed nootropic based pre workout. 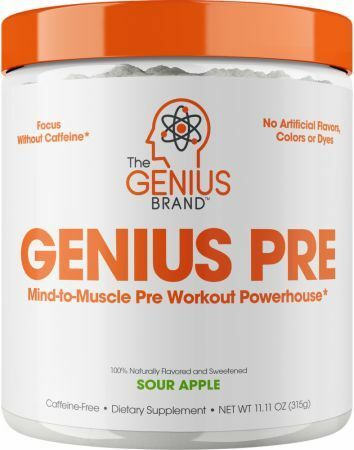 Devoid of caffeine altogether, Genius Pre’s formula relies on clinically backed doses of key performance enhancers along with various brain nutrients to create a true mind to muscle connection. NATURALLY SWEETENED WITHOUT THE JUNK – Too many pre workouts are loaded with fillers and dyes. Titanium dioxide, red #40 and countless other fillers that are completely worthless & harmful to your health. Genius is naturally sweetened with stevia and contains no added junk. It can increase muscle performance, endurance and blood flow without the use of stiimulants.